On this Japan trip we were fortunate to have Tomoyasu and Takami Toda join us and they brought their new toy. A very expensive toy. Amazing footage for this episode! 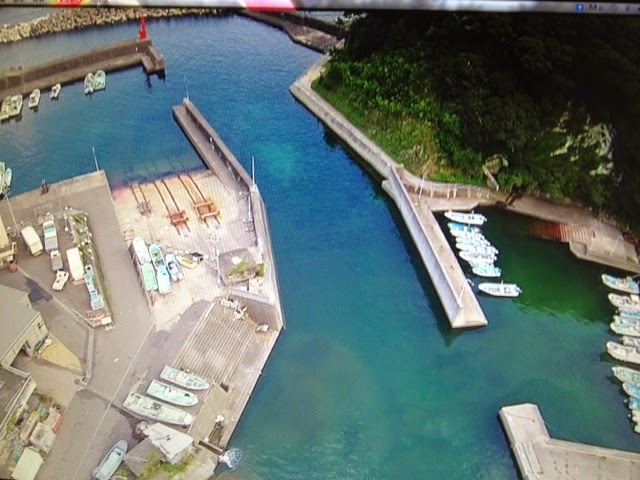 Takami and Toda-san aside an amasan boat. 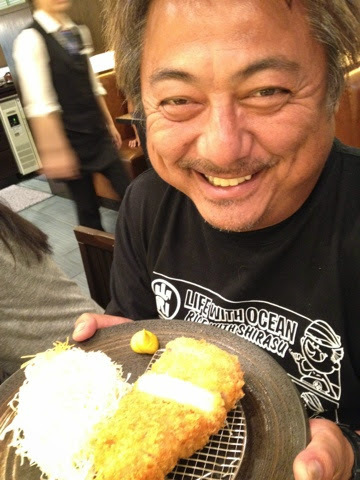 Toda loves his katsu! The top of the line katsu we had for lunch. 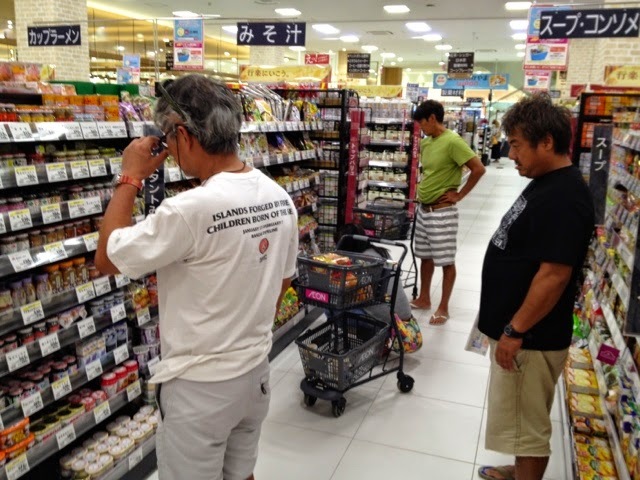 Before we left Japan, we had to stock up for our next Red Sea Ocean Adventure coming up very soon! 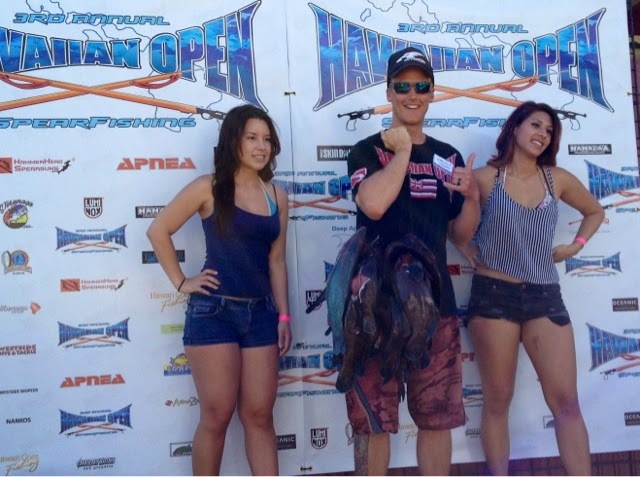 Went to grab a few waves then checked out the weigh in at the Hawaiian open spearfishing tournament. Christian Shaber with a nice catch of invasives. 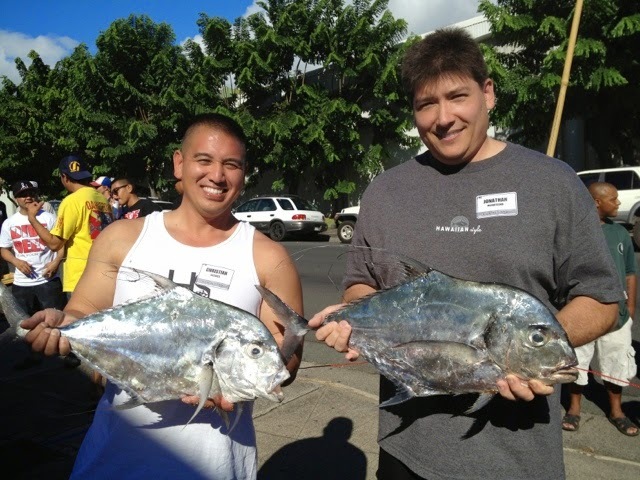 David Sakoda with a 17 lb uku. Christian Gillerez and Jonathan muratsukas kagamis. 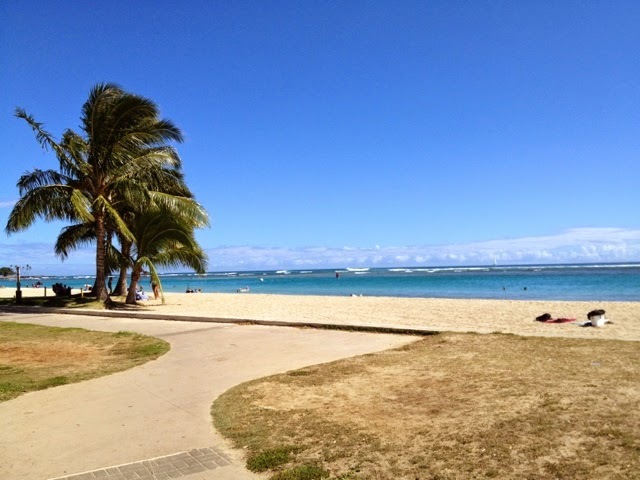 What a beautiful blue day in Hawaii! Went home unpacked, ate lunch, checked the waves and instead of resting went straight to the beach. New south swell arrived just in time to catch some waves. After a couple barrels I was satisfied and ready to go in. Looks like a great week of waves so see you in the lineup. Morning surf lesson with Naohiros two boys. Sato-chans is 5 years old and his older brother 8 years old. Their mom was so happy to see them surf. 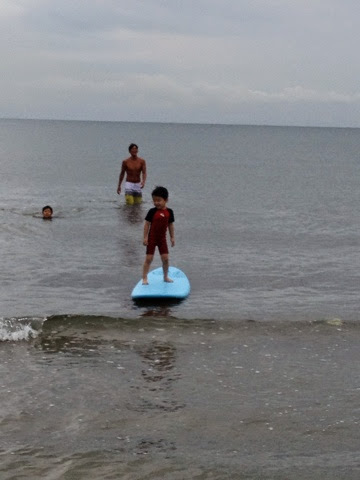 This was Sato-chans first wave ever as he got Kirby to lead the lesson while i took photos. Time to start packing up for my flight home. Can't wait to get barreled. 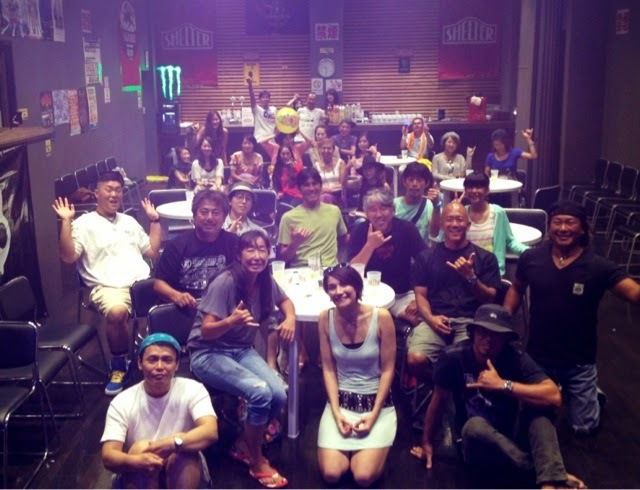 As we make our way back to wakayama, the swell came up so the gang wanted to grab a few waves. Nobody out! Score! We made it on the ferry in the nick of time, one minute to be exact. Headed to eat lunch at marutaya ramen and we see a familiar face on the wall. 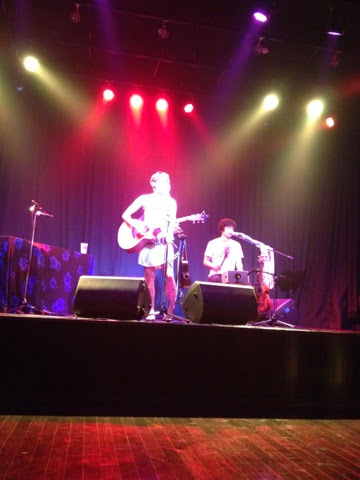 Concert by Kat McDowell tonight. 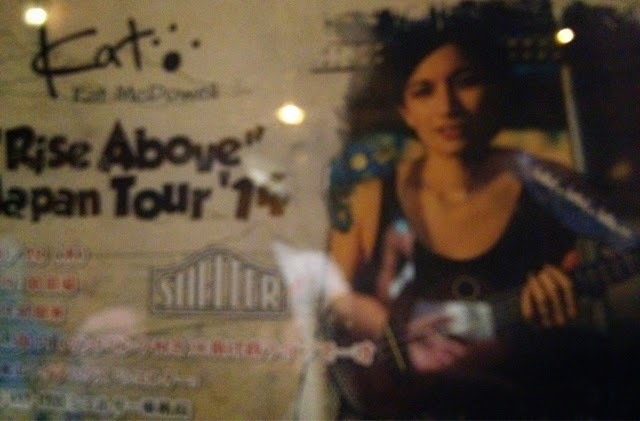 Her music was on the last amasan show we did. We show up Hawaiian time and get to hear music from her latest album, "rise above". 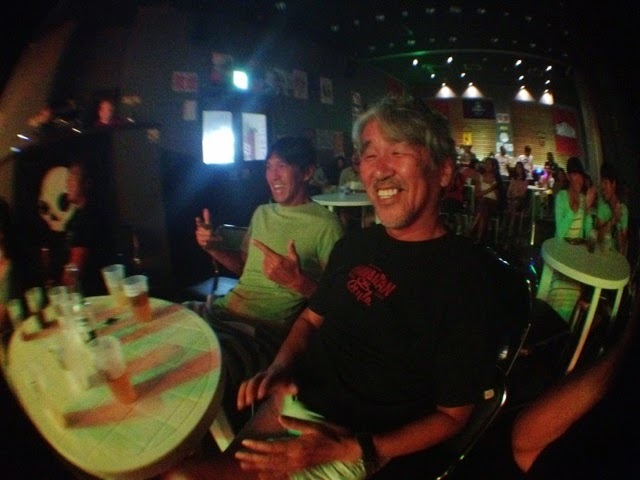 Kimura-san is the ichi ban guide so we got front row seats. What a perfect way to end our tour as well. Thanks again to Kirby for inviting me, Kimura-san, Atsuko-san for hosting us, Toda-san and Takami-san for driving and incredible drone footage, Eri-chan for helping translating, and naoka for all your help. 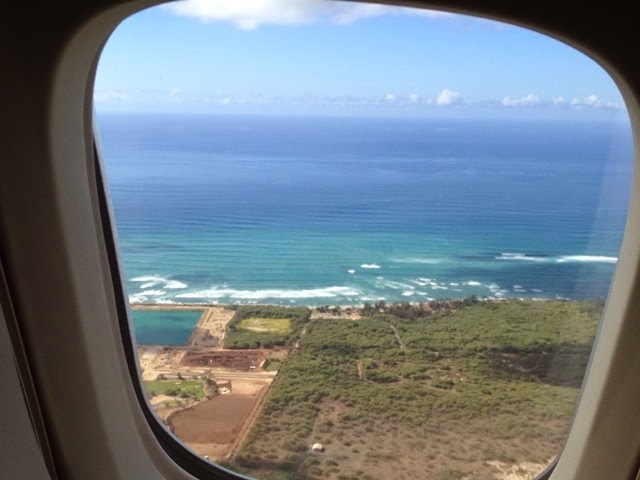 Head back to Hawaii, just in time for next south swell. 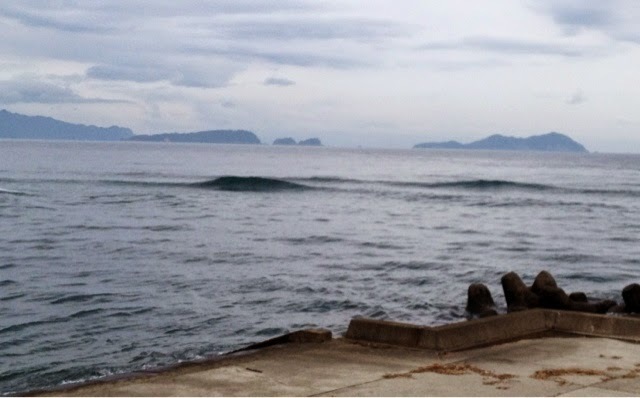 Making our way back to wakayama with a brief stop to check the surf. 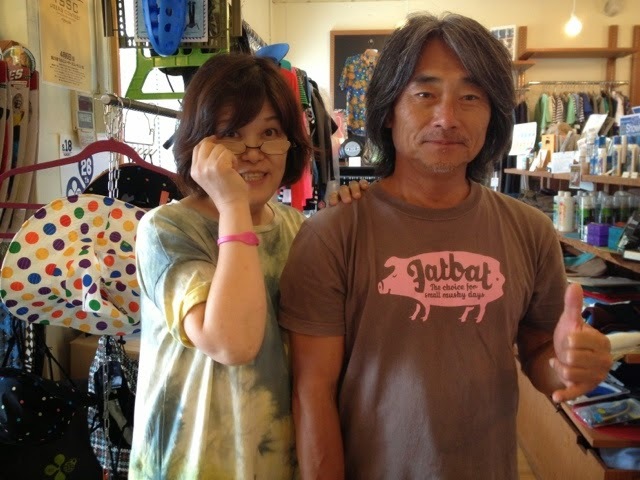 First stop at Kirby's sponsor shop TSSC and meet Yan-san and his wife. 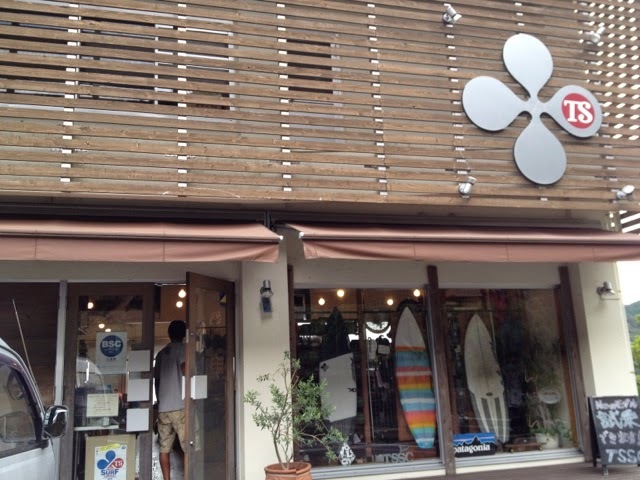 They have a nice shop in kaifu with a variety of boards from Matchi, Minami and other shapers. 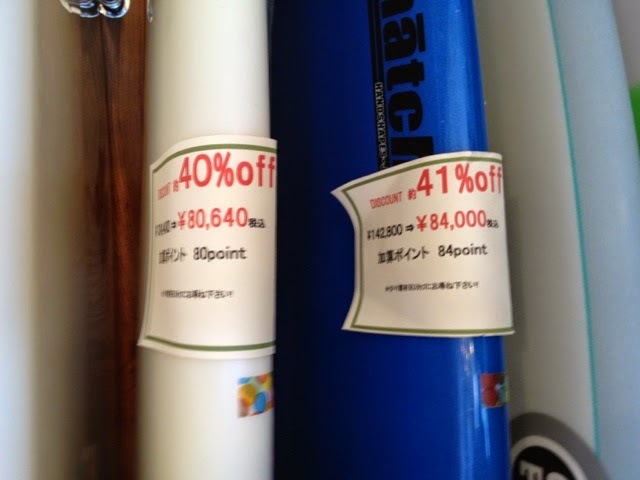 Check out the price for a board. Then we head to the beach to grab a few waves. 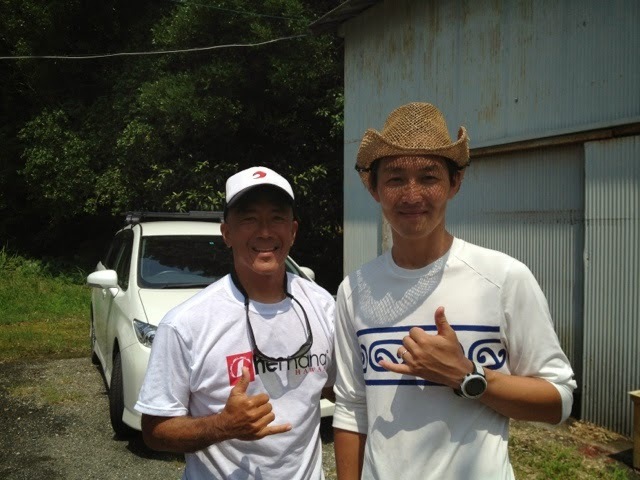 Toda and Takami haven't surfed for 2.5 weeks so they were happy. 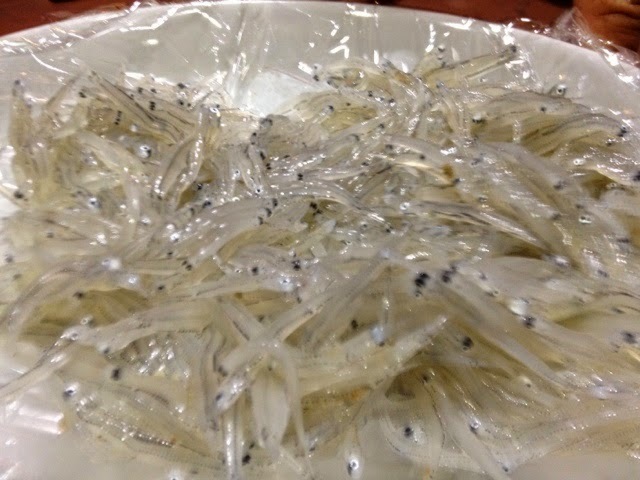 Then we ate okonomomiyake and were ready to sleep so we found another minshuku. Our 10x10 room where we are downloading pics, blogging, and catching some zzz. Amazing day with amasans. At the weigh in where about 60 amasans are getting their pay check. They have 3.5 hours to dive and take their job very seriously. A good day at work! This 70 year old was one amasan I followed and filmed. They all ride bikes and are so healthy. 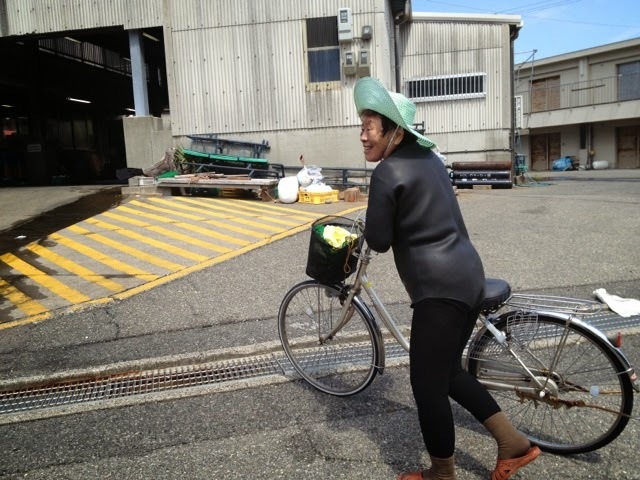 The oldest amasan was 87 years old. Abu was simply amazing! 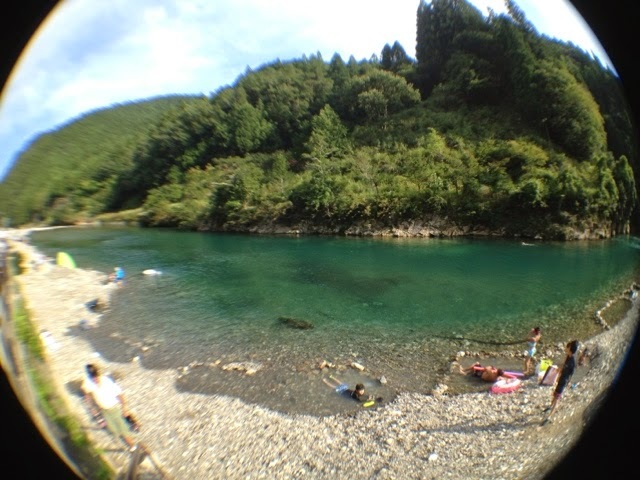 This is our minshuku in Shikoku. 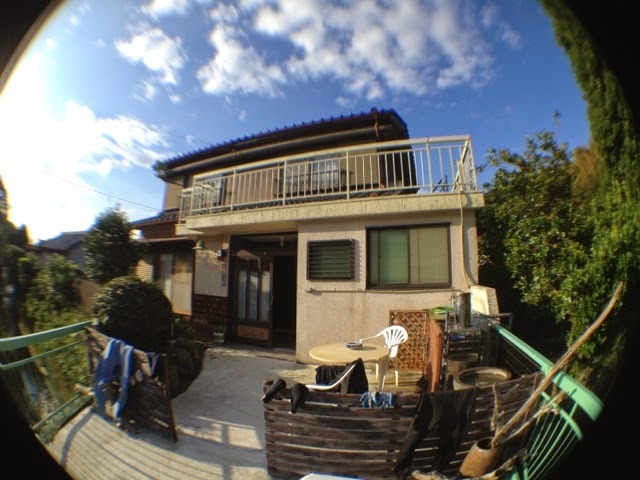 A family run house that is owned by amasans. 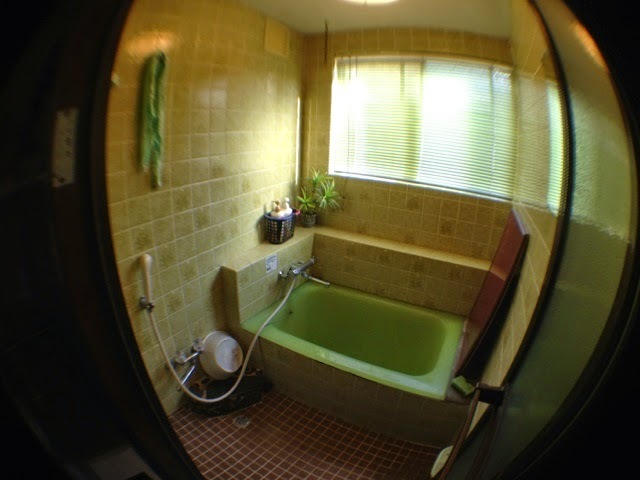 They only rent it out twice a month, so we were fortunate to stay here. 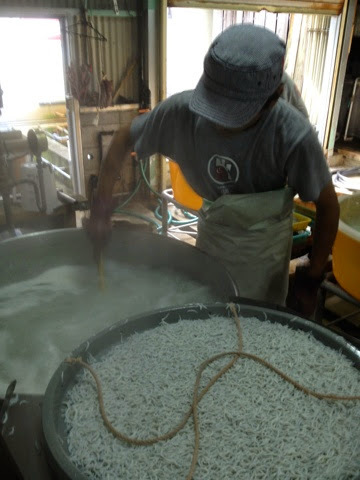 It was all set up from scarafin rep Matchi norihiko. He even hooked us up with fins! Thank you match! Dining and living room where I slept. 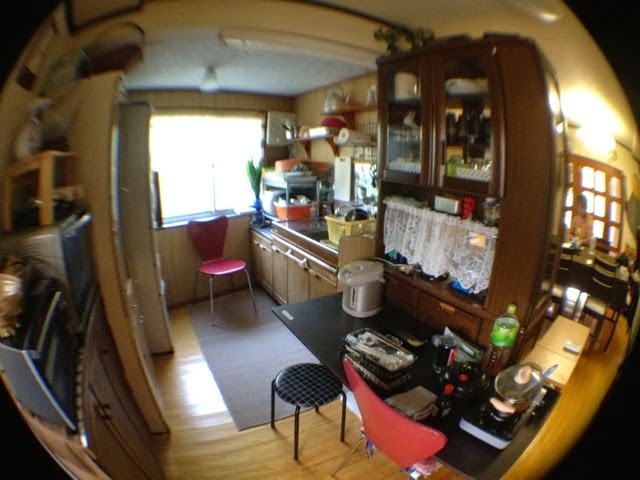 Kitchen were the meals are made. 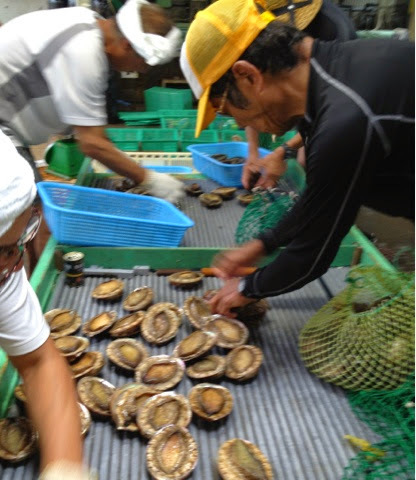 Freezer full of abalone! Gold! 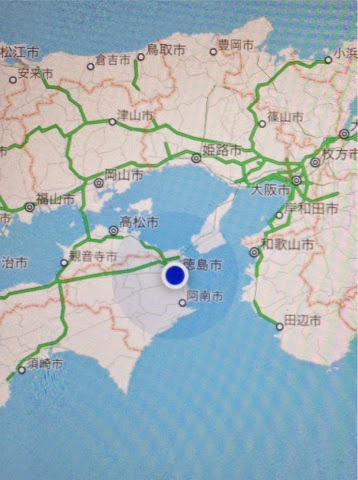 140 pm arrival in Shikoku, deep area of Japan. 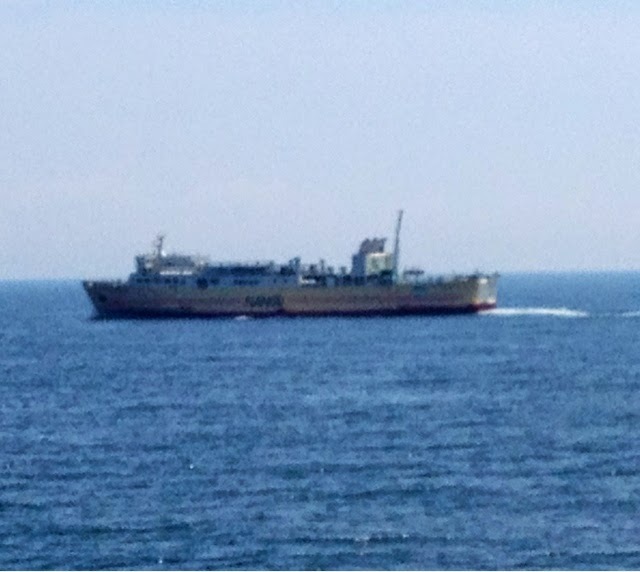 Nankai Ferry ride then 1.5 hour drive to next spot to find more amasans. The one lane road is like driving to Hana, Maui. 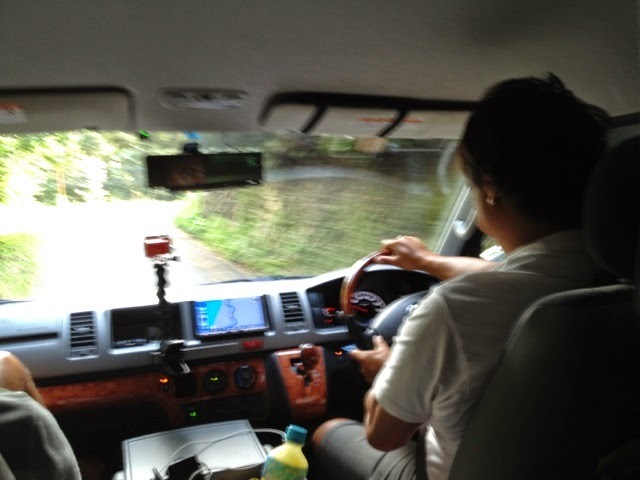 Toda-san drives us thru the winding roads. Then we arrive in the town of Abu, where many amasans reside. 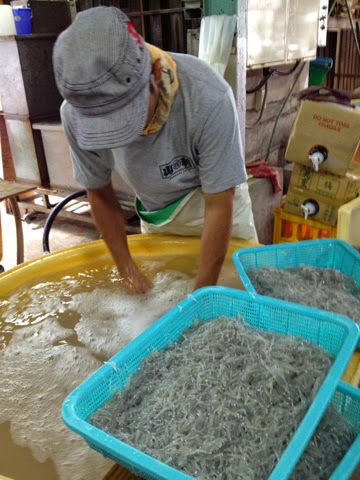 This is the heart of amasan with over 100 of them here. Toda-san takes out his drone and gets some awesome footage. Local fisherman are in awe of this spaceship videoing them. 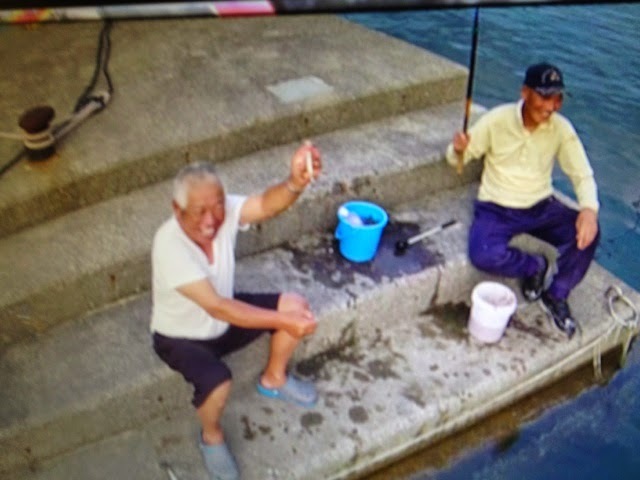 The man on the right is 87 years old and was an amasan for 60 years. 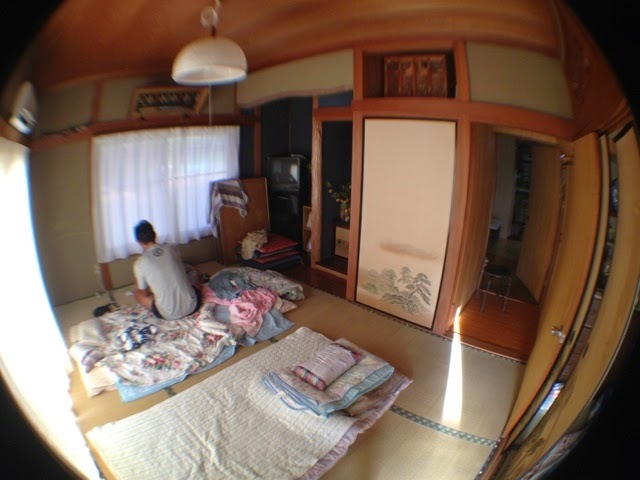 We check into a small minshuku where an amasan owns. 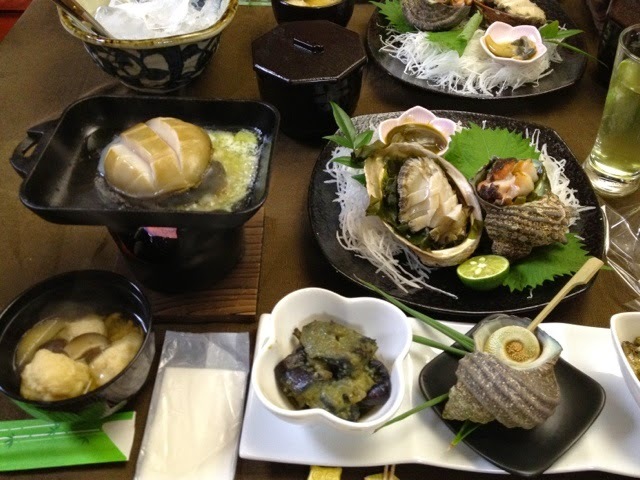 She cooks a fabulous abalone and sazae dinner. Tomorrow we plan to film her and her husband for a three and a half hour dive. I'm super excited to see what happens. 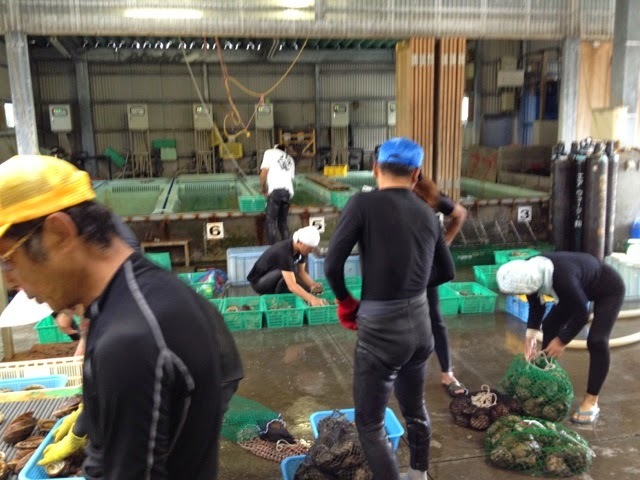 Everyone woke up finally and we headed to katsuura fish auction. 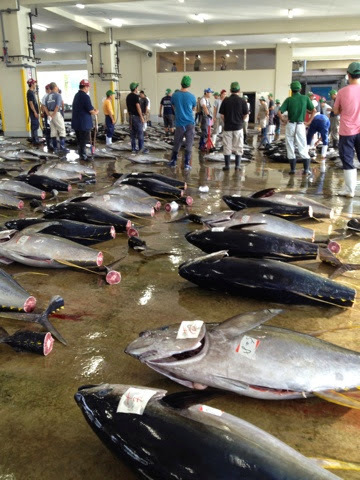 Lots of tuna were being sold. 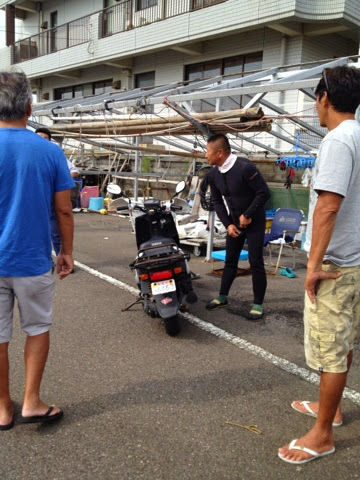 We headed to the harbor and saw some men amasans suiting up. They did not have room but said to check the other boats. 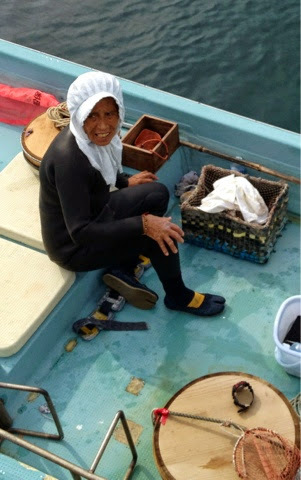 Then we see her, the amasan from our last trip, she is on her way out to dive as Kimura san asks if we can join them but we were unable to get on their boat because they were working. 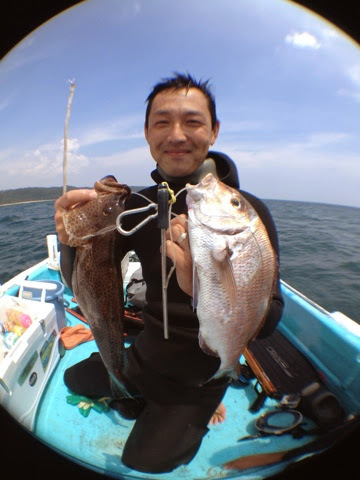 We were lucky to hook up with a local diver akito-san who offered to take us diving. We suited up and went out to his favorite spots. A really good diver and we were diving dropping to 40-60 ft at times. 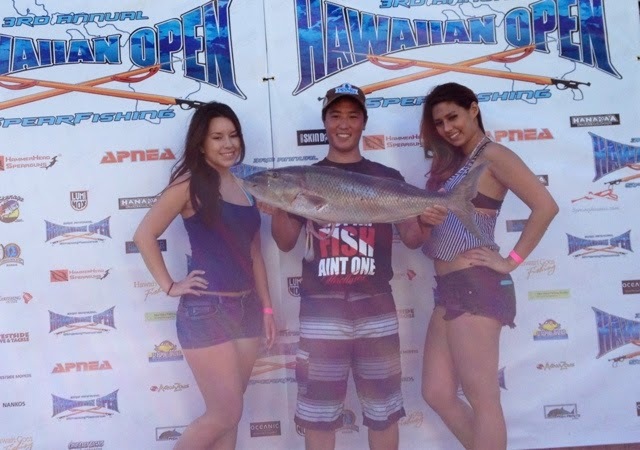 He got a nice grouper and Thai snapper and Kirby got a knife jaw. After lunch we headed back to wakayama and made a brief stop at this natural onsen where we visited before. So beautiful. Of course we had to also make a stop for soft cream. 5 hours later we are back in wakayama, and tomorrow we head for shikoku for another long road trip in search of more amasans.